On Thursday, December 7 from noon to 1:00 pm, the series will present a free concert in the Grand Gallery. Featured will be music for horn-piano duo and music for horn trio. The duo is hornist William Schaffer and pianist Joshua Pifer. 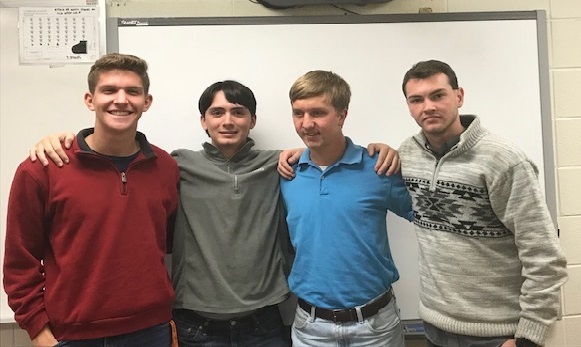 Members of the Auburn University Horn Ensemble playing trio music are Andrew Kirk, Jonythan Tribble, Tripp Gulledge, and Sam Becker, all students of Dr. Schaffer. The program will include music by Anton Reicha, Eugène Bozza, Wolfgang Amadeus Mozart, and Peter Schickele. Gifts from anonymous friends of the series have helped to make this performance possible. Click here for the calendar event page with more about the performers and the full schedule for fall 2017. 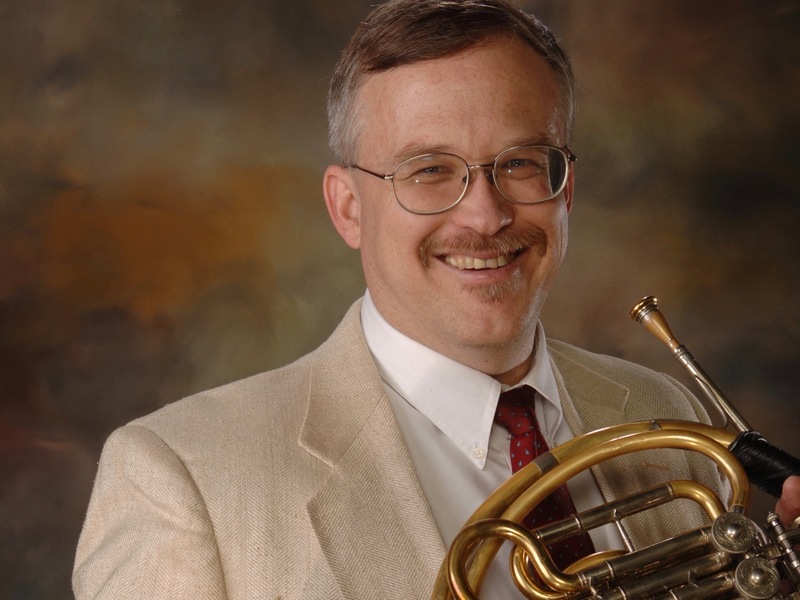 Schaffer is assistant professor of Horn and Music Theory at Auburn and serves as principal horn in Florida’s Sinfonia Gulf Coast. 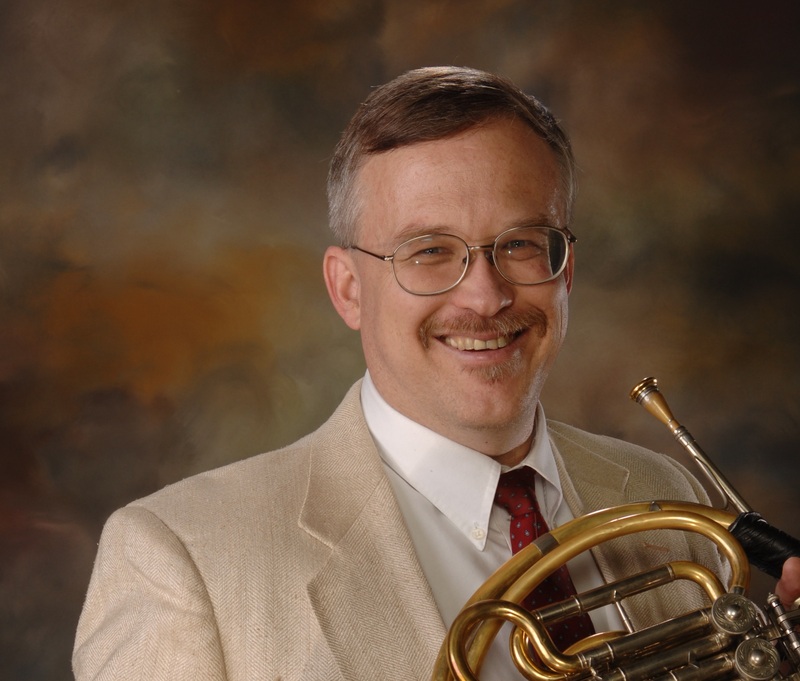 He has published original, arranged, and historical works for horn and brass ensembles. Schaffer says Wolfgang Amadeus Mozart’s “Horn Concerto No. 4,” is the biggest work on Thursday’s program and was the second one composed by Mozart. “They numbered them after his death, and they got them out of order,” Schaffer said. He says it was probably written for Mozart’s good friend and horn virtuoso Joseph Leutgeb. Its third movement contains the hunting themes common in horn music. “The horn made its way into Western music by its use in the hunt,” Schaffer said. “It was a signaling instrument, essentially.” He said the curved shape allowed it to be carried on a horseman’s shoulder, and it was designed so that the bell pointed behind the rider and away from the horse’s sensitive ears. He says it first showed up in concert music during hunting scenes in operas in the 1600s, possibly earlier. Even after its transition from the hunting trail to the formal concert venue, the horn didn’t gain full acceptance into the world of art-music for centuries. “They didn’t hire a valve horn teacher until 1902 at Paris Conservatory,” Schaffer said. Bozza designed “En Foret” to showcase what the instrument can do. “It uses every single timbre of the horn,” Schaffer said. Open horn is the normal unaltered sound, echo horn is when the player uses the hand to cover most of the bell’s opening, stopped horn refers to using the hand to completely cover the bell, and muted horn makes use of a mute inserted into the bell. Each technique produces a different tone color. Schaffer says “En Foret” is episodic, presenting one melodic idea after another, returning at the end to the original theme. He said it uses harmonies common to Western musical tradition, but like the melodies, it exhibits sections with different tonal centers. “When I was in school, we used to refer to these [pieces] as quasi-tonal,” Schaffer said. The student horn ensemble will perform three trios by Anton Reicha, a court musician who was a contemporary of Ludvig van Beethoven. “These trios are really well known to horn players, but I’m not sure anyone else knows about them,” Schaffer said. Hornist Thomas Bacon once asked his young grandson a question. In 1992, the result inspired a piece that Bacon commissioned composer and parodist Peter Schickele to write entitled “What Did You Do Today at Jeffy’s House?” Schaffer says the work is really short and cute with movements titled after the child’s answers. Schaffer and Pifer will end the program with this piece. 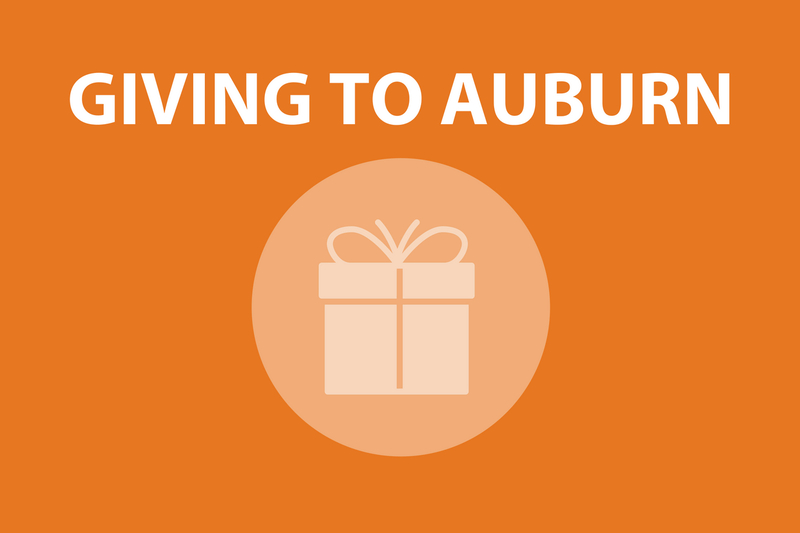 Pifer is a senior lecturer at Auburn, recently returning from a two-week piano residency in Taiwan. 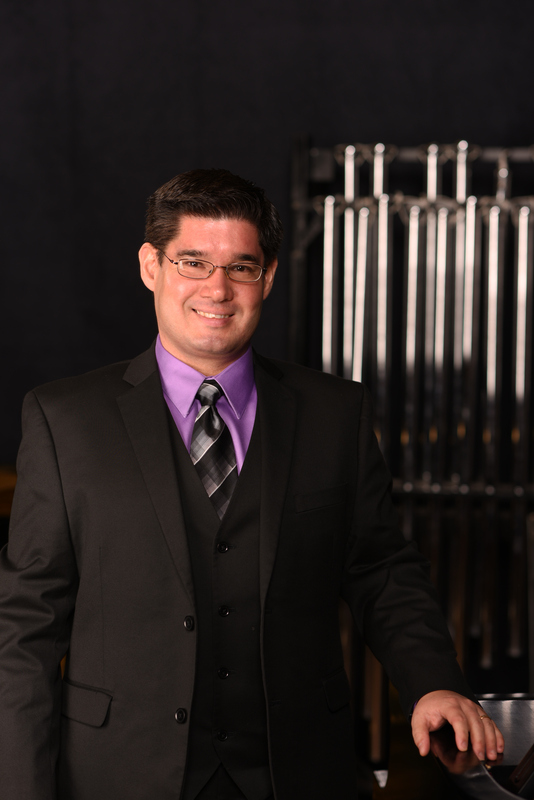 He is an international performer, clinician, and adjudicator, and is a founding member of both Duo Echo with oboist Jennifer Pifer and Plains2 with trombonist Matthew Wood. He released his first solo CD, “Alexander Tcherepnin My Favorite Piano Works,” in 2015.